The Halloween season can now be said to have offically begun here at Copacetic, with this arrival of a new Junji Ito collection. 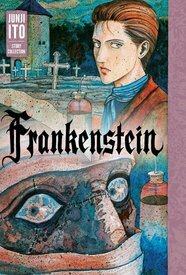 Frankenstein is a 400 page hardcover that brings readers the entirety of Ito's 184 page adaptation of Mary Shelly's iconic tale of man playing God. In addition to being one of the great works of English literature, Frankenstein was also arguably the first science fiction novel – and is 200 years old this year (a bicentennial that is being celebrated worldwide)! But, that's not all! 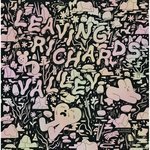 Between the covers of this collection, there are also ten – count 'em! – addtional short tales of horror from the pen of Junji Ito, the reigning (at least here in the USA) master of horror manga. Happy Halloween!